User privacy and data protection are basic human rights. Personal data should only be collected and processed when absolutely necessary and is permitted by the customer. We dislike spams as much as you do! Information you give us. For example, many of our services require you to sign up for a Party Ace Account. When you do, we’ll ask for personal information, like your name, email address, telephone number or address to store with your account. If you want to take full advantage of the features we offer, we might also ask you to create a publicly visible Party Ace profile, which may include your name and photo. When you use Party Ace services, we may collect and process information about your actual location. We use various technologies to determine location, including IP address, GPS and other sensors. Certain services include a unique application number. This number and information about your installation (for example, the operating system type and application version number) may be sent to Party Ace when you install or uninstall that service or when that service periodically contacts our servers, such as for automatic updates. We and our partners We collect information on the Party Ace Limited Sites through a variety of technical methods, including cookies and web beacons. Cookies are pieces of information that a Website sends to your computer while you are viewing the Website. Web beacons are small pieces of data that are embedded in images on the pages of the Party Ace Limited Sites. Cookies, web beacons and other technical methods may involve the transmission of information either directly to us or to another party authorised by us to collect information on our behalf. Cookies (including beacons), by themselves, do not provide Party Ace Limited with personally identifiable information unless you choose to voluntarily provide this information to us by, for example, registering on a Party Ace Limited Site. However, once you choose to furnish us with personally identifiable information, this information may be linked to the data stored in the cookie. Should you choose to add a comment to any posts that we have published on our blog, the name and email address you enter with your comment will be saved to this website’s database, along with your computer’s IP address and the time and date that you submitted the comment. This information is only used to identify you as a contributor to the comment section of the respective blog post and is not passed on to any of the third-party data processors. Only your name will be shown on the public-facing website although if the supplied email address is linked to a Facebook account, your Facebook photo will also be displayed. Your comment and its associated personal data will remain on this site until we see fit to either: (1) remove the comment or (2) remove the blog post. Should you wish to have the comment and its associated personal data deleted, please email us here using the email address that you commented with. Should you choose to contact us using the contact form on our Help & Support page, please be aware that we use a third-party data processor (Zendesk) to manage the service request. Alternatively, you can use an email link like this one in which case none of the data that you supply will be stored by this website or passed to / be processed by any of the third party data processors. Instead, the data will be collated into an email and sent to us over the Simple Mail Transfer Protocol (SMTP). Our own SMTP servers are protected by TLS (sometimes known as SSL) meaning that the email content is encrypted using SHA-2, 256-bit cryptography before being sent across the internet. The email content is then decrypted by our local computers and devices. However, not all mail servers are secured in such a way. Therefore, we would suggest that you always consider email as an insecure medium and not include personal, confidential or otherwise sensitive information within an email. (7) in connection with content submissions, community postings (e.g., chat and bulletin boards), and voting and polling activities. Party Ace Limited does not sell, rent, lease or license your personally identifiable information to third parties for their commercial purposes. 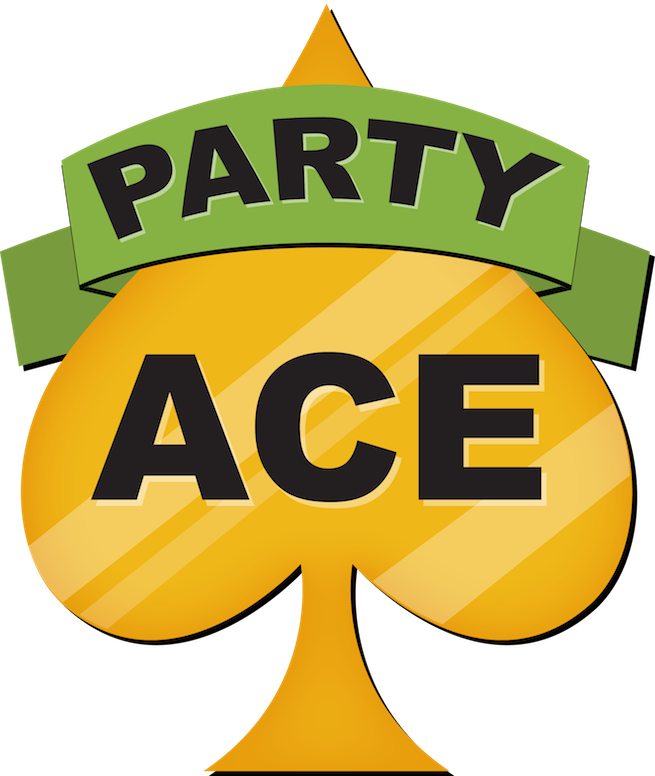 Review and control certain types of information tied to your Party Ace Account by using Party Ace Dashboard. View and edit your preferences about the Party Ace events shown to you on Party Ace services. Adjust how the Profile associated with your Party Ace Account appears to others. Take information associated with your Party Ace Account out of many of our services. Many of our services let you share information with others. Remember that when you share information publicly, it may be indexable by search engines, including Google. Our services provide you with different options for sharing and removing your content. We will share personal information with companies, organisations or individuals outside of Party Ace when we have your consent to do so. We require opt-in consent for the sharing of any sensitive personal information. view statistics regarding your account, such as statistics regarding ticket sales. protect against harm to the rights, property or safety of Party Ace, our users or the public, as required or permitted by law. Party Ace Limited does not knowingly collect or use any personally identifiable information submitted to the Party Ace Limited Sites from individuals under the age of 13, except in order to respond on a one-time basis to a specific request for information. If you are a parent or guardian who has discovered that your child under the age of 13 has submitted his or her personally identifiable information without your permission or consent, upon notice from you, Party Ace Limited will make reasonable efforts to remove the information. You may request that your child's information is deleted from our databases by emailing support@party-ace.com, please be sure to include in your message the User Name and/or e-mail address and password that your child submitted. Party Ace Limited may from time to time offer links to other sites from sites within the Party Ace Limited domain. Other sites may also reference, advertise, or link to our sites. However, this does not mean we endorse or sponsor other websites, and we are not responsible for the privacy practices or the content of such sites. Party Ace Limited expressly disclaims any and all statements or assertions made on such websites, and deny all liability associated with your use of, and the content on, such other sites. You may arrive at one of these sites through clicking on a banner advertisement, as part of a co-branding arrangement, or simply by selecting a link on a Party Ace Limited Site. These sites might issue their own cookies or collect data or personally identifiable information. Party Ace Limited is aware of your privacy concerns and strives to collect only as much data as is required to make your Internet and/or product use experience as efficient and satisfying as possible, in the most unobtrusive manner as possible. We will make reasonable efforts to ensure that whatever information you provide will be maintained in a secure environment. Unfortunately, no data transmission over the Internet can be guaranteed to be 100% secure. As a result, while we strive to protect your personally identifiable information, we cannot guarantee the security of any information you transmit to us or from our products or services, and you provide such information at your own risk. Once we receive your transmission, we make our best effort to ensure its security on our systems. Party Ace Limited reserves the right, at its sole discretion, to change, modify, discontinue, enhance, add or remove any portion of the Party Ace Limited Sites, or any provision of the Site Agreement, in whole or in part, at any time. Changes to the Site Agreement will be effective when posted. Without obligation to do so, Party Ace Limited may also notify you of such changes through messaging on the Party Ace Limited Sites. You nevertheless agree to periodically review the copies of the Site Agreement posted on the Party Ace Limited Sites so that you are aware of any changes. Your continued use of the Party Ace Limited Sites in any way after any changes to the Site Agreement or the Party Ace Limited Sites are made or posted will be considered acceptance of those changes and will constitute your agreement to be bound thereby.